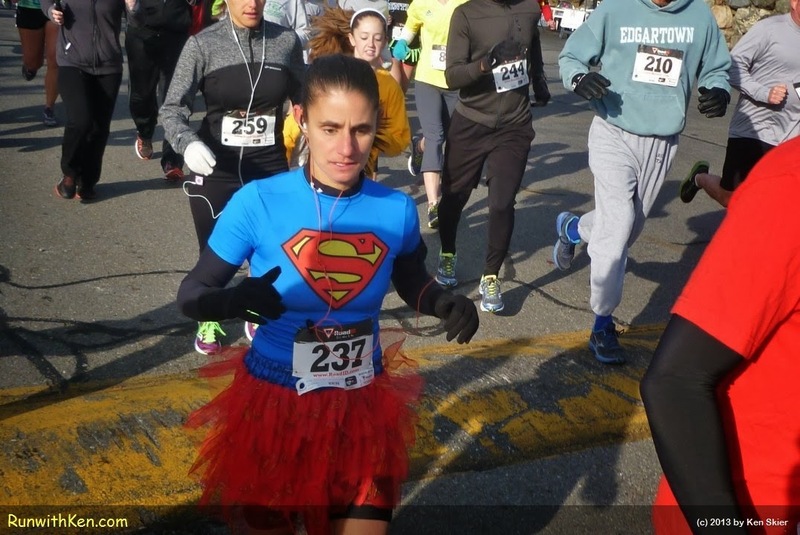 When we run, we're ALL Super-Heroes! Runners at the Guild School Trick or Treat 5K in Waltham, MA. I took this photo just a few seconds into the race. These runners were just behind me.